Remove the cowl top. Refer to EXT-25, "Exploded View". Remove front exhaust tube. Refer to EX-5, "Exploded View". Disconnect air fuel ratio sensor harness connector and remove air fuel ratio sensor if necessary. Loosen nuts in reverse order as shown. Disregard the numerical order No. 6-8 in removal. Cover engine openings to avoid entry of foreign materials. 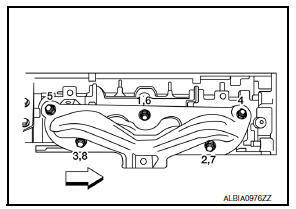 Install exhaust manifold gasket (1) to cylinder head as shown. 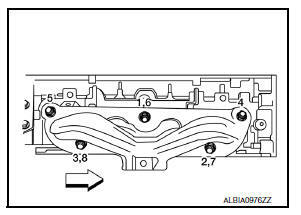 Do not reuse exhaust manifold gasket (1). Tighten nuts in numerical order as shown. Tighten nuts the No.1-3 in two steps. The numerical order No.6-8 shows the second step. 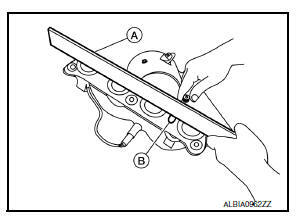 Using feeler gauge (A) and straightedge (B), check the surface distortion of exhaust manifold mating surface in each exhaust port and entire part. 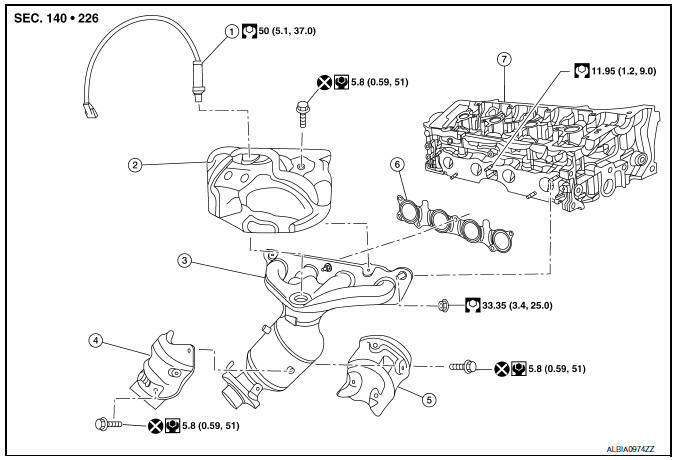 Limit : Refer to EM-119, "Exhaust Manifold". 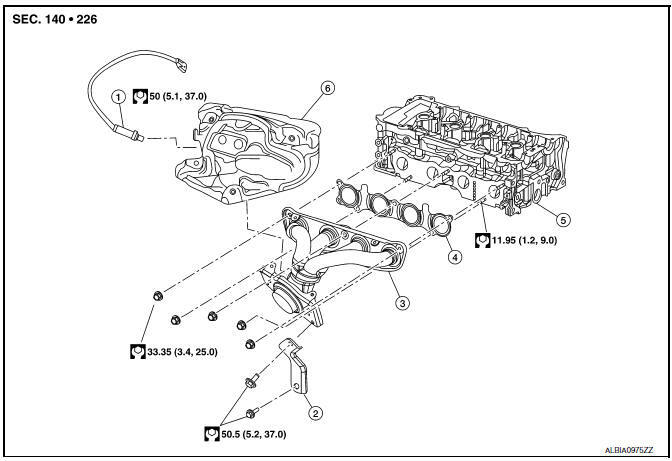 If it exceeds the limit, replace exhaust manifold.